In the United States, reading and toilets go together like, well, toilet paper and toilets. The average American spends nearly 41 hours a year reading on the toilet. 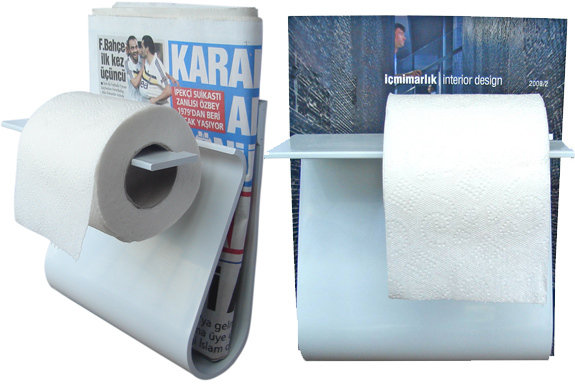 We couldn’t find statistics for toilet reading in other countries, but it must be an international phenomena because best designed combination toilet-paper-holder-and-magazine-rack we’ve spotted comes not from the U.S.A. but from Turkey. 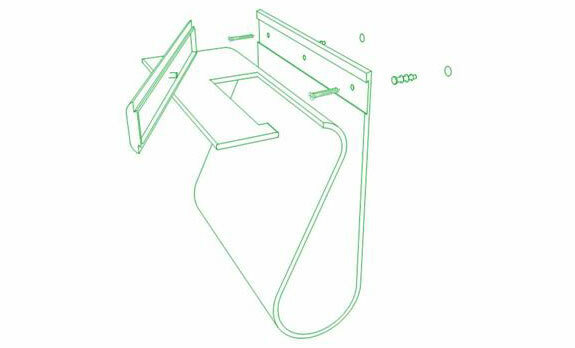 It is there that architect Direnç Demirbaş developed the Read And Roll, a sleek, sculptured item that you might mistake for a postmodern work of art if it were hanging in a museum and not on your bathroom wall. 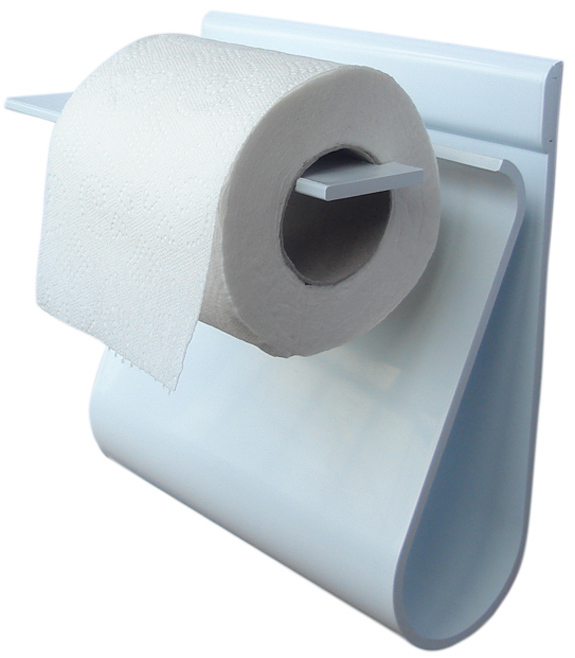 The Read And Roll holds a roll of toilet paper in front and a book/magazine/newspaper in back, making it especially useful for small bathrooms or toilets located in tight spaces. The Read And Roll is 20 x 24 cm (7.8 x 9.5 inches) and is made from ABS (Acrylonitrile Butadiene Styrene ) resin with injection molding, which means the Read And Roll is not only durable and light but also exceptionally fire resistant. (Though, if your bathroom was on fire we suspect you have larger concerns). Purchase your Read And Roll through eBay. And if you are interested in not only reading while sitting on the toilet but eating as well, check out our review of toilet restaurants around the world.